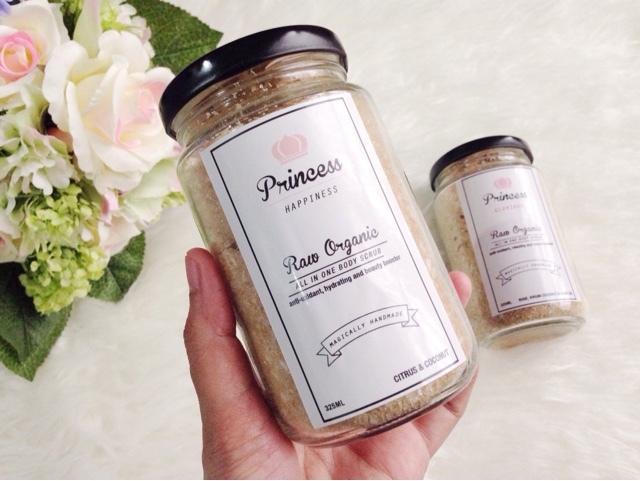 According to Princess Malaysia website; Princess Happiness is made from the combination of raw organics ingredients such as orange essential oil, fresh orange, fresh lemon, extra virgin coconut oil, brown + white sugar and yes, tons of happiness and positive aura specially packed for you as well. Not only that, it's also infused with Vitamin C and Vitamin E to give your body the exfoliation it needs without stripping off the body natural moisture. To start enjoying it, scoop a generous amount of Princess Happiness and apply it gently all over your body in a circular motion and rinse off with water afterward. 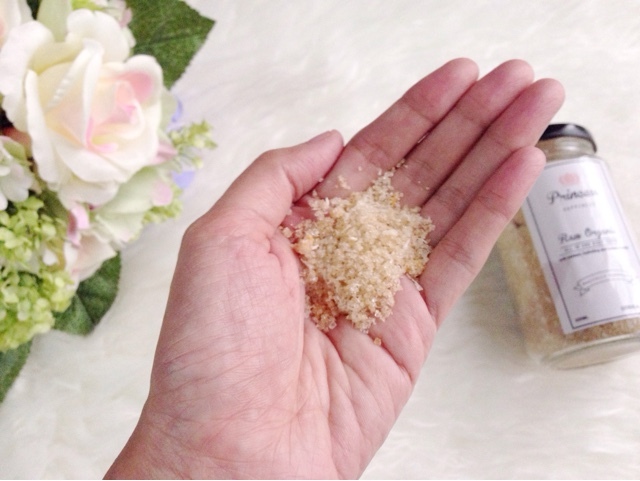 Unlike Princess Happiness, Princess Glorious is formulated from the mixture of rose essential oil, rose petals, fresh coconut shred, premium olive oil, virgin coconut oil, brown + white sugar and boost of relaxation with positive aura sealed neatly in a glass jar. 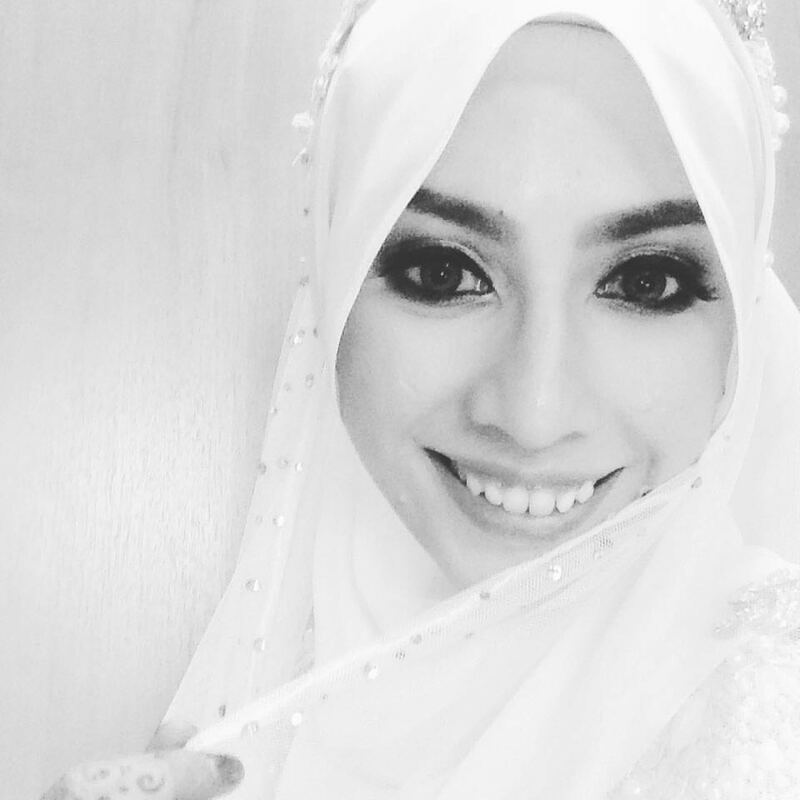 It's also enhance with Vitamin C and Vitamin E to hydrate your skin while scrubbing off your dead skin cells. 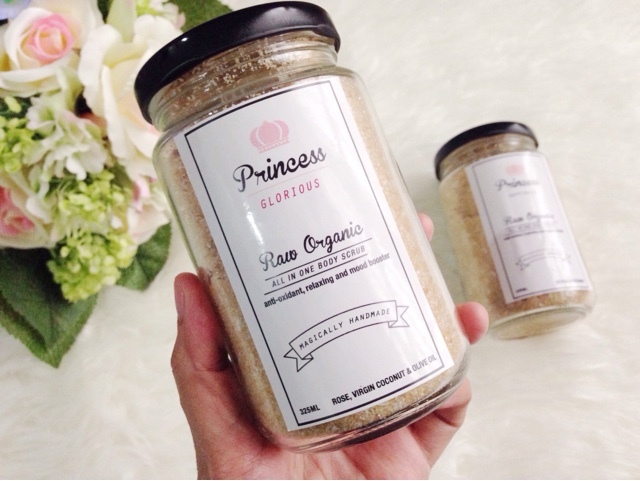 To use it, simply scoop a generous amount of Princess Glorious on your body and exfoliate it gently before rinse with water. 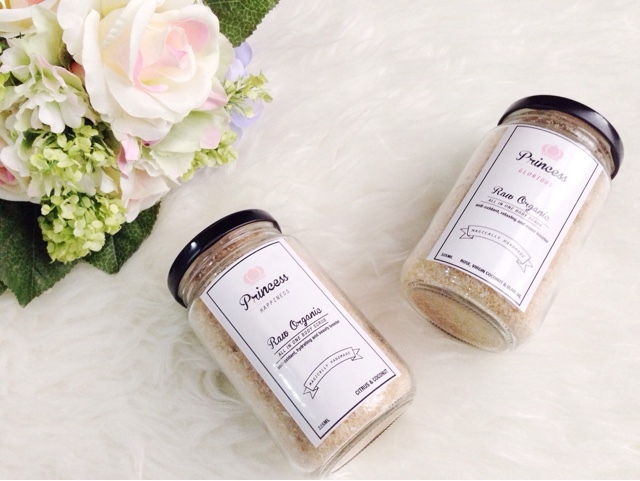 To retain the product freshness, keep it in a cool, dry area or refrigerate to elongate the body scrub lifespan. MY VERDICT : Actually, I'm not a big fan of rosy scent but Princess Glorious is clearly an exception because I can only trace a subtle rosy fragrance in there, exactly the way I like it! 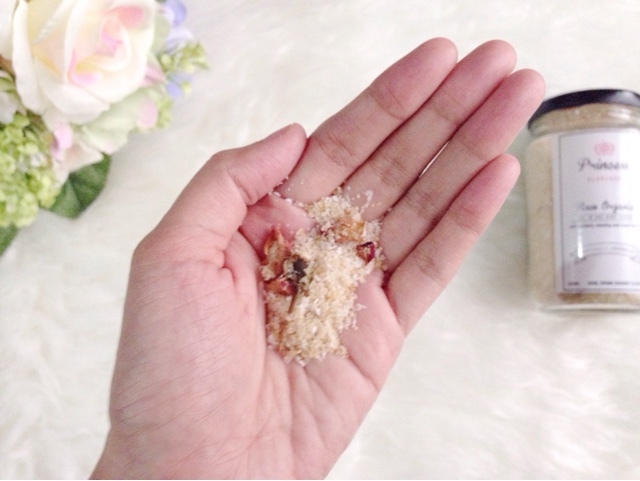 Adding rose petals into the scrub is a very a smart move since flowers not only work as a mood booster, it's also a great way to make someone feel special and beautiful. The texture on the other hand, is surprisingly mild against my skin despite its look and such a joy to use especially on a gloomy day. I like to apply it around the driest part on my skin (knee, elbow) and wash it off with warm water to soften up the area.